but we'd like to get to know you first, you probably feel the same way. 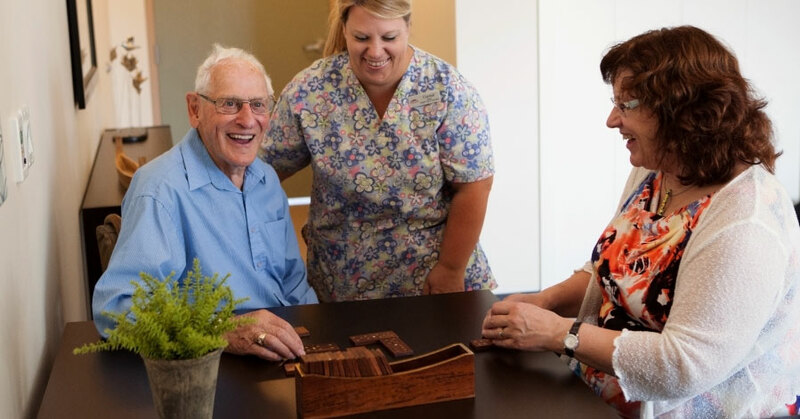 Respect, empathy and integrity are the core values that motivate Sidney All Care Residence. These guiding principles help us provide innovative, compassionate and personalized care that we would want for our own family members. You’ll see our values permeate everything we do through our attention to detail, smiling residents, respectful management, caring team and professional staff. Sidney All Care is an 88-bed complex care Residence. We strive to make your family feel at home and the staff an extension of your family, caring for those that mean the most to you and us. Thanks to the community feeling we foster, residents and their families love our experienced, dedicated and compassionate care team. Sidney All Care Residence is conveniently located close to Swartz Bay ferry terminal, Victoria International Airport and an easy 25-minute drive North on the Pat Bay Highway. As the name suggests, Sidney All Care Residence is in the heart of Sidney, British Columbia. Sidney has one of the mildest year round climates in all of Canada. In addition to its temperate weather, Sidney has nearly 4 kilometres of flat beachfront walkways that are perfect for summer strolls and minutes from the boutique downtown shops and restaurants. Sidney is a seniors-oriented neighbourhood, which boasts the Shoal Centre, Vancouver Island Library, two golf courses, lawn bowling association, Recreation Centre, and the Mary Winspear Centre, which hosts a wide range of performing arts events. Sidney is a pedestrian-friendly city that accommodates independent walkers and mobility devices alike. At Sidney All Care Residence, we believe in Resident-Centered Care, making independence and safety our top priorities. We have 24-hour nursing care to assist with activities of daily living and life enriching programs. Your family members can feel confident that you are being well cared for. We know that family members play an important role in the health and well-being of our residents, so we encourage families to remain an integral part of our residents care. Personal experience tells us that ones individual situation can change quickly without notice. This can happen at any stage of life and we are ready to help in the ways you need. We do this by listening and keeping you and your family informed. We’re confident that you’re going to like it here, but we’d like to get to know you first. Even if you’re in the “just looking” stage, please call or email to arrange a tour with our Community Enrichment Manager. Perhaps you can join us for one of our many activities or come for a complimentary lunch.